CANTON, Mass. 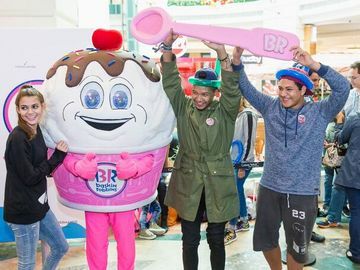 (March 23, 2015) – Baskin-Robbins, the world’s largest chain of ice cream specialty shops, today announced the kick-off of a festive “Celebrate 31” promotion to help celebrate the brand’s 70th birthday throughout the year. 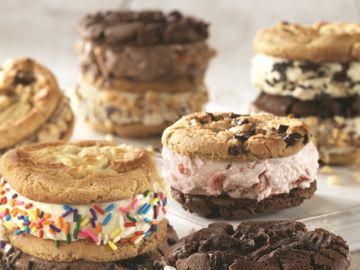 On Tuesday, March 31st at participating Baskin-Robbins locations nationwide, guests can enjoy any 2.5 or 4 oz. scoop of ice cream in a cup or a cone for $1.31 per scoop and Baskin-Robbins’ Classic Two-Scoop Sundae for $3.31. * Additionally, Baskin-Robbins will offer other sweet frozen treat deals on each 31st of the month through the end of the year.